Last week we reported on a rumor that the upcoming Blu-ray and DVD release of Christopher Nolan’s The Dark Knight Rises would include an additional 30 minutes of footage that was initially edited out of the film’s theatrical release. At the time, a movie fan site called Nuke The Fridge claimed that anonymous insider sources had revealed the existence of the new footage, and that it would include a sequence detailing Bane’s origin (as per these comments made by Dark Knight Rises’ costume designer Lindy Hemming). At the time this seemed a perfectly reasonable idea. Hemming would know about certain scenes that were shot, but failed to make it into the final version of the film, and it just made sense that Christopher Nolan (or, more accurately, executives at Warner Bros.) would want to jam-pack as many extras as possible into the Dark Knight Rises’ home video release. The main flaw with this idea however, is that Christopher Nolan is notoriously opposed to creating “Director’s Cut” versions of his films. “I tend to try and weed things out on paper because it’s crazy expensive to shoot things that aren’t going to be in the film,” Nolan told MTV earlier this year. “It also takes up a lot of time and energy. Pretty much with all my films, there are very few deleted scenes, which always disappoints the DVD crowd.” As a result of Nolan’s stance, fans who purchased the home versions of Batman Begins or The Dark Knight were surprised to find that neither release included any extraneous material that might have been excised from either film. In that light it seems less likely that Dark Knight Rises would buck the trend, and according to IndieWire those earlier rumors of additional footage are simply untrue. “… insiders close to [Nolan] confirmed to us yesterday that no such plans exist, and reports of an extended cut of the film are completely false,” IndieWire states simply. Though this is likely sad news for fans of The Dark Knight Rises, it should be stated that this does not preclude that footage from appearing in some other form, later. 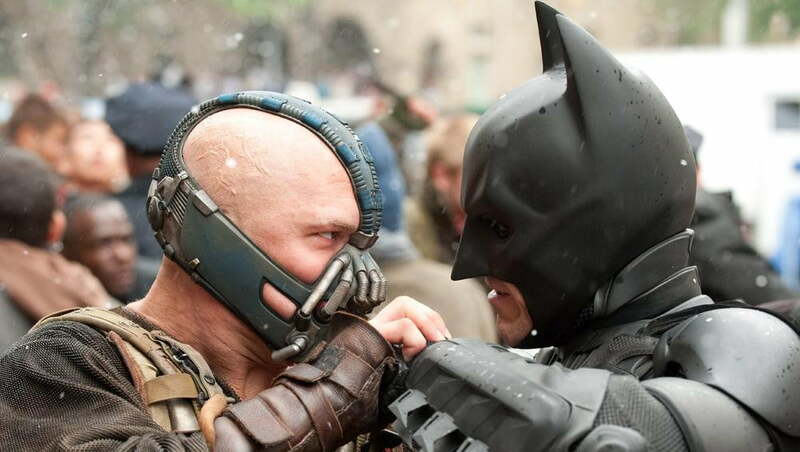 Though Nolan’s camp denies the idea that the home video release will include Bane’s origin, we have yet to hear anyone deny that existence of these extra scenes, and it seems likely that Warner Bros. would want to somehow capitalize on the potential profits generated by extra, never-before-seen Christopher Nolan Batman footage, especially now that Nolan has retired from making films about superheroes. That said, it looks like we’ll have to wait until after the DVD/Blu-ray release of Dark Knight Rises before anyone at the WB or within Nolan’s inner circle might officially address the missing scenes. Unfortunately, we still don’t have a release date for the home video iteration of the film, but we expect to see the film hit store shelves in time for the holiday shopping season. These are the upcoming games that support ray tracing rendered on Nvidia's RTX and GTXs graphics cards. They aren't many in number at this point, but thanks to the power of ray tracing, they are some of the best-looking games ever made.